This book offers a contemporary intervention in the field of feminism/international relations. Partly inspired by Surrealism, the book is written in a series of vignettes and draws on a variety of approaches inviting readers in to inhabit the text. It is a politically engaged book, though one which does not direct readers in conventional ways, visiting global politics, the classroom, poetry, institutional violence, cartoons, feminist violence, films, violent white men, angry black women, blood and ‘English’ puddings. Working imaginatively with epistemology and methodology, and embedding theory throughout the text, the book can be considered part of the current genre of scholarship which attends to complexity, uncertainty, disruption, affect and the creative possibilities of randomness. 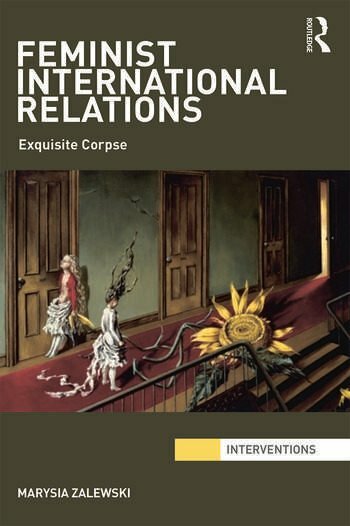 Feminist International Relations: Exquisite Corpse will be of interest to students and scholars of International Politics, Gender and Feminist Studies, International Studies, Political Theory, Globalization Studies and further afield. Marysia Zalewski is Professor and Head of School of Social Science at the University of Aberdeen, UK.